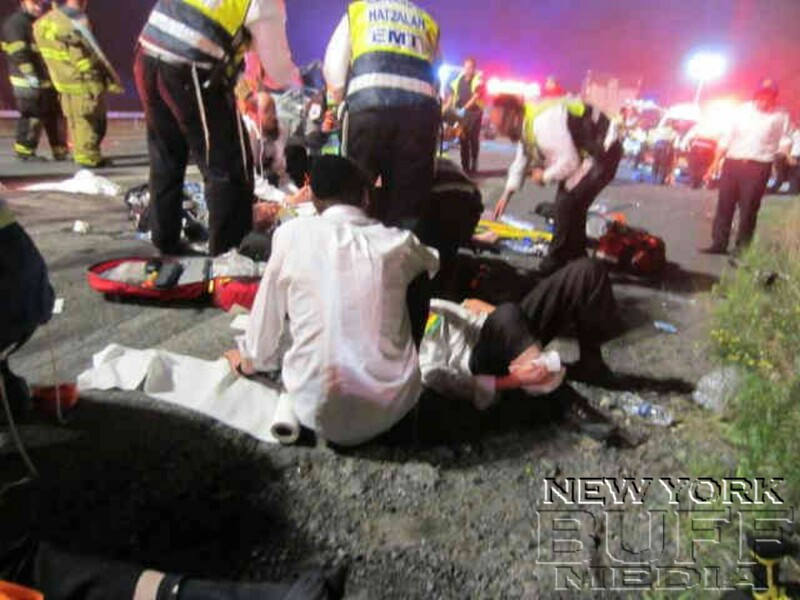 Wurstboro - A vehicle returning to Camp Ruach Chaim in the Catskills from the Siyum HaShas at MetLife Stadium, was involved in a serious crash, early Thursday morning. Sources tell CatskillScoop that a total of 9 people were inside the mini-van which was travelling on Route 17 near Exit 114, when it collided with a tractor-trailer. Catskills Hatzolah was dispatched to the scene with numerous ambulances to treat the victims. One of the passengers, a 20-year-old Bochur, was transported to Orange County Regional Medical Center with a femur fracture. He was later transferred to Westchester Trauma Center, where he was going into surgery on Thursday afternoon. A second Bochur suffered a spinal fracture, and was also in serious condition.